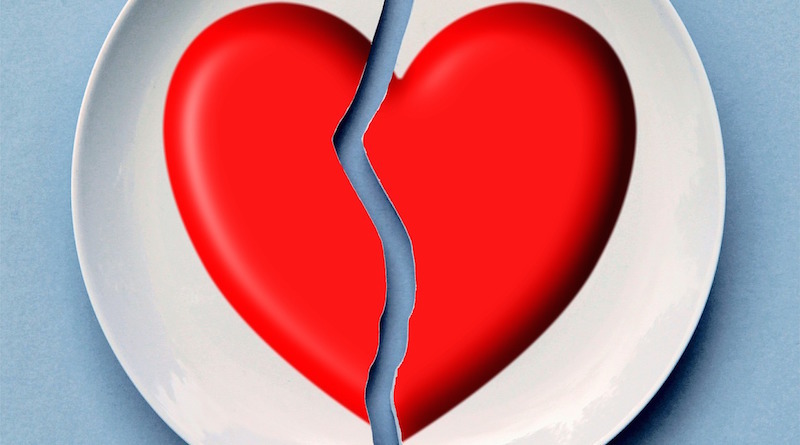 Whether dabbling with a casual fling or up to your neck in a serious relationship, breaking up is hard to do. But now, thanks to this niche version of eBay, you can get rid of the physical and emotional baggage of your last relationship. At neverlikeditanyway.com, jaded people can sell the material collateral from their broken relationships and make a few bucks to ease their broken heart. And if you can look past the emotional history of the products, they’re often selling at pretty decent discounts! Most of the stuff on sale is equal parts painful and lucrative…. …And there’s an entire section for bridal wear. Is it bad luck to purchase a secondhand garter for your special day? To this ineffective Valentine’s poem…. To this Chewbacca mask with some serious history. It’s a known fact that misery loves company, and there’s definitely something soothing about scrolling through material evidence that breakups happen for lots of reasons. And if you’re trying to move on from a bad breakup, you can register on the site for free and offload any sentimental tokens you’ve stashed at the bottom of your wardrobe so you don’t have to look at them any more! Really – what’s not to love?